Posted by Sam Smith on Sunday, September 18th, 2011 at 7:41pm. Vista Del Lido Bayfront Condos In Newport Beach, CA, offer some of the best bay front views in all of Newport Beach. 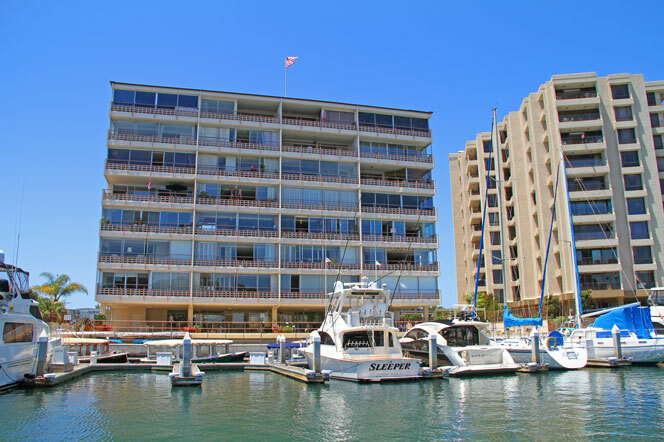 Located directly across from Lido Island is an eight story building that is home to many bayfront condos. You are greeted by a relaxing greeting room as you enter with a relaxing pool & spa area with room to relax and entertain with your friends. Upstairs, the condos are spacious with well thought out floorplans that maximize the water views. All utilities are included with home ownership in Vista Del Lido including cable (expect for phone). The location is ideal with the blue water grill located across the street and many restaurants and shops in the old towne Lido area. Prices currently range from $699,000 to $1,545,876 for bayfront condos in Vista Del Lido with the lowest price condo listed as a short sale. If you are in the market to buy a bay front condo then Vista Del Lido may be the place for you. Please contact any of our Newport Beach real estate sales agents today to learn more about the best places to buy bayfront condos in Newport Beach, you will be glad you did!